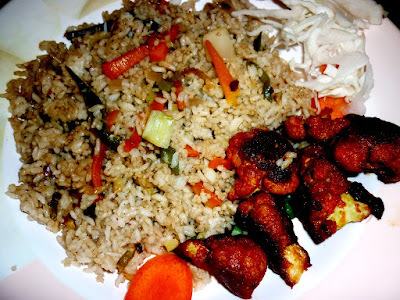 Chinese Fried rice is quick and easy to cook and every one’s favorite too. 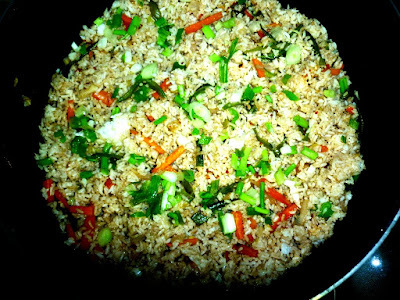 This is a basic recipe for fried rice. You can add in eggs, shrimp, sausages or chicken to this, according to your taste buds. Heat a wok, add 1 tbsp oil. Add in red chili flakes and garlic chopped. Saute well and stir fry. Add the cooked rice, salt and Worcester sauce. Now mix well and close the wok and keep it on medium fire for 10 minutes. Serve hot with any side dish you prefer. 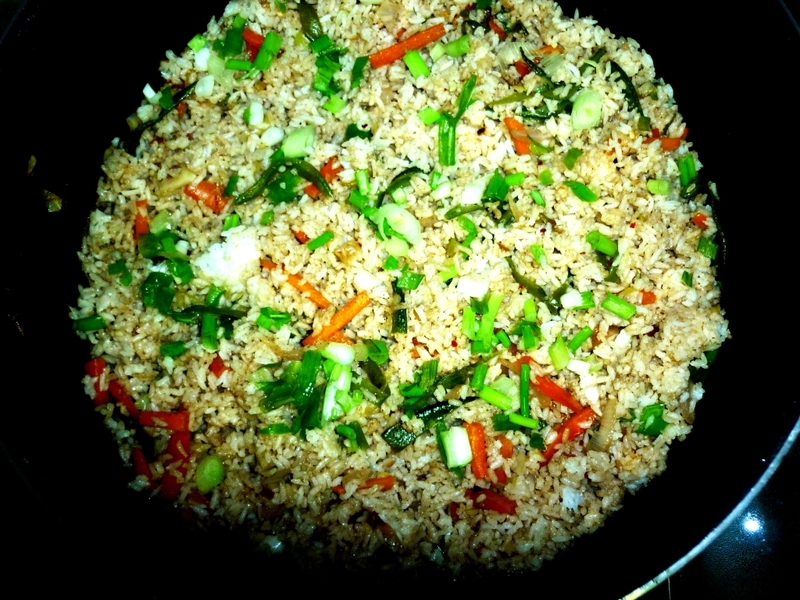 Vegetable fried rice looks so colourful and yummy.